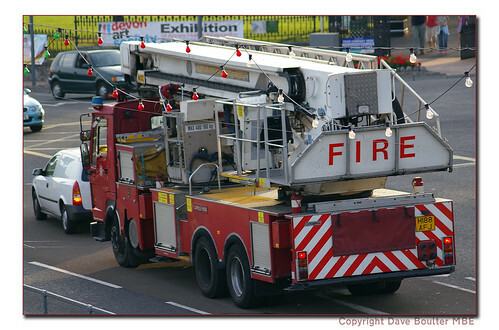 Torquay has its own Bronto aerial rescue machine but when not available (ie for mechanical reasons) the similar appliance from Camel's Head, Plymouth moves to Torquay, thus ensuring high rise access is available in the Torbay holiday town and surrounding area. 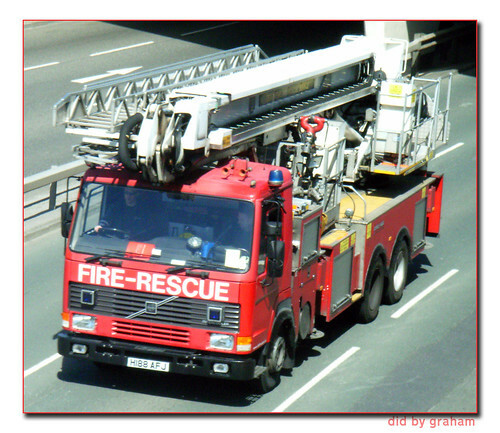 (Sufficient aerial coverage remains in Plymouth in the shape of the turntable ladder based at Crownhill.) . Camel's Head's appliance, Volvo reg.no. H188 AFJ, is seen on a routine journey on Torquay seafront on 26/7/08.